One of the most difficult any often under-discussed topics regarding in home senior care has to do with caregiver guilt. There are so many families that struggle with senior care guilt after they choose to send their parent or loved one to a nursing home or assisted care facility. Sometimes this guilt comes because the family member was unable to provide care on their own, other family members may feel guilt because their parent was resistant to starting care. There is a common feeling of failure once a family member determines that they need a professional to look after their parent. This is a common and completely natural feeling and it is one that many individuals deal with. However, it is important to be able to accept and make peace with the decisions that you make for your loved one so you and your entire family can move forward to this next phase of your lives with your parent’s care situation. If you are facing issues regarding senior care guilt, the first thing to remember is why you made your decision in the first place. Most family members will agree that while the decision to have their loved one begin senior care was difficult, they made that decision because they know deep down it was what is best for the senior. This is important to remember if your loved one is sad or angry about needing in home care or if they start to harbor feelings of resentment about needing care. When adult children need to step in and make decisions regarding their loved one’s care, this role reversal can be difficult. 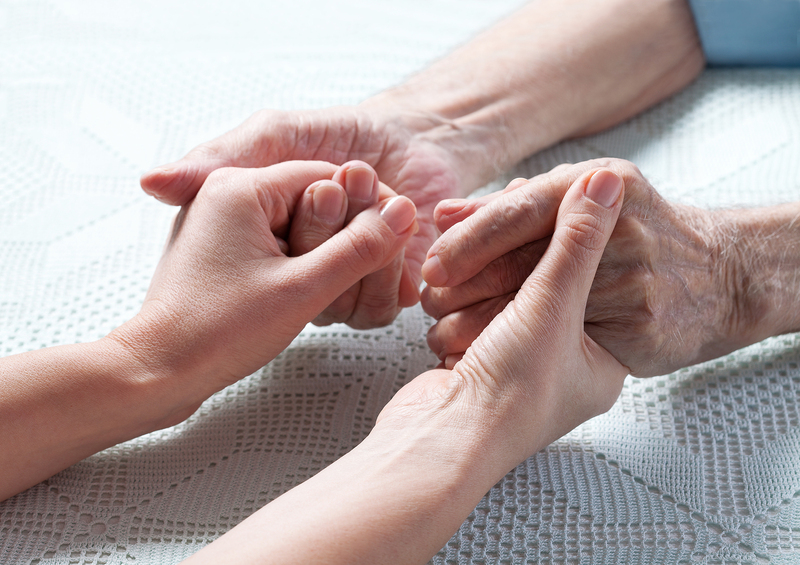 For many adults, this is the first time that they will have to step in and act as a care provider to their parent. Taking on this role has many adults wondering whether or not they are making the right decisions for their parent as they take on this role for the first time. Guilt is normal, but it is being able to move past that guilt that is important. When it comes to helping a senior loved one begin care, there are going to be so many “what if” moments. As a family member and loved one, you must be willing to accept the decision that you made and stay focused on moving forward, not looking back and wandering what could have happened if you made a different decision or if something panned out in a different way. This will only breed doubt and anxiety. Many adults in this situation benefit from seeing trained professionals or reaching out to support groups designed specifically for those with parents in senior care. Having this type of outside support is one of the best ways for those dealing with this condition to get the advice they need and to find a way to move past the guilt that they are feeling. While it is never easy to have to make a care decision on behalf of a senior parent or loved one, the more that you can do to accept your decisions, and your feelings, the better off you, your entire family and your loved one will be.